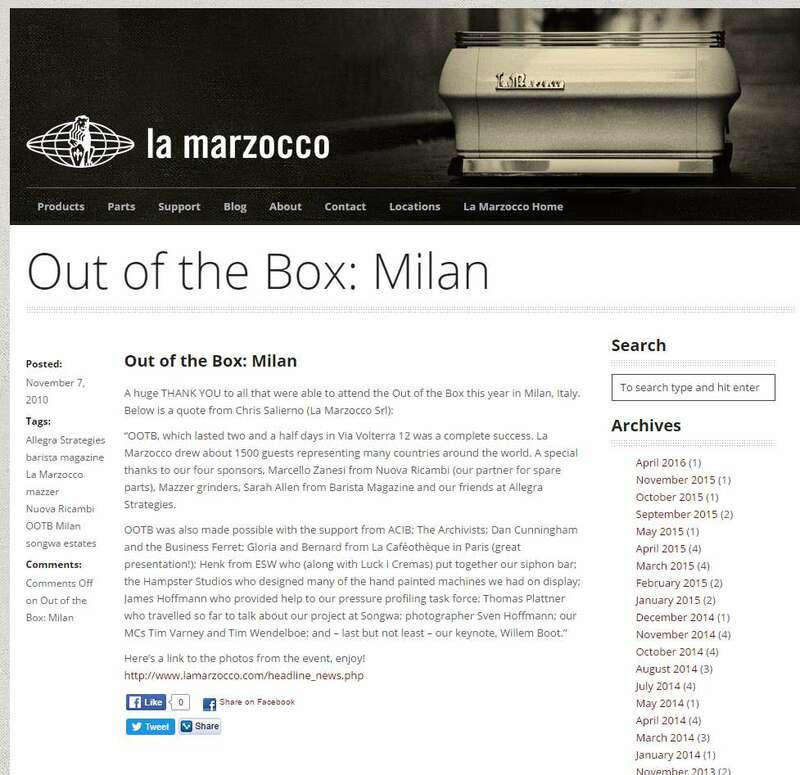 A huge THANK YOU to all that were able to attend the Out of the Box this year in Milan, Italy. Below is a quote from Chris Salierno (La Marzocco Srl): “OOTB, which lasted two and a half days in Via Volterra 12 was a complete success. La Marzocco drew about 1500 guests representing many countries around the world. A special thanks to our four sponsors, Marcello Zanesi from Nuova Ricambi (our partner for spare parts), Mazzer grinders, Sarah Allen from Barista Magazine and our friends at Allegra Strategies.